Jungle Scout is an extension for your web browser that gathers seller’s data from Amazon. When you browse Amazon or specific Amazon listings, the extension will list all the data about that item in the sidebar for your convenience. The data includes average price, brand, category, average sales rank, the number of reviews, sales per month, estimated revenue, rank, and much more. The data is all listed in a simple spreadsheet that you can organize as you please, for example, if you want to see the most expensive products, click the price tab and the listings will be organized from highest price to lowest price. You can also copy and paste the entire spreadsheet into Excel or Google Docs. “This makes it incredibly easy to find ideal products to source and sell online. That means no more researching individual stats and typing in numbers into your own spreadsheets, it’s all right here for you! That means no more researching individual stats and typing in numbers into your own spreadsheets, it’s all right here for you! The process is rather straightforward, create a membership, install the extension, and browse Amazon. When you type something into the Amazon search bar, Jungle Scout will light up and show all the relevant data related to your search term. This includes all the listings and the data related to those listings, average prices, average items sold per month, and much more. It makes it incredibly easy for you to find out if a product has potential or not. How do you use this to Create an Online Business? Once you learn how to read the data, it’s easy to find hot products that you can source and sell. According to Greg Mercer, the items that have the most potential are priced between $17 – 40 are lightweight and sell more than 10 a day. Also, any product that can be bought wholesale for 1/3 of the price, and shipped by air. With this criteria, reading the data becomes easy, all you have to do is find items that satisfy the formula. These are just some of the guidelines for a good product, there are more, but we won’t discuss those in details here. Shipping is an expense so it needs to be taken into consideration. Fortunately, Jungle Scout also lists the average weight of the products, and this is probably one of the most useful features because you’ll spend most of your budget on shipping fees. The heavier the product the more it costs to ship, therefore, finding light products will save you a lot of cash, that’s cash you can re-invest into your business. 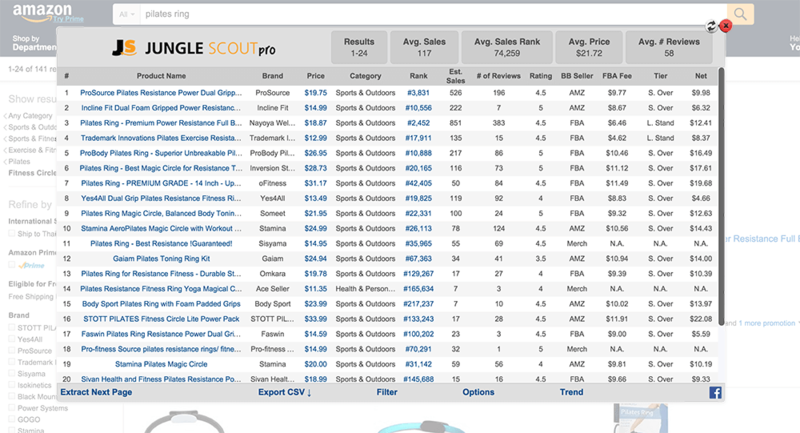 Hit the Jungle Scout tab for weight and you’ll see all the lightest products for your search term. Then, it’s a matter of finding a source for the product. So, with the Jungle Scout data in hand, the next step is to find a supplier for your product, and if you manage to find a supplier that sells the product for 1/3 of the price it’s sold on Amazon then that’s a potential product for you to sell. Jungle Scout is definitely one of the most useful Amazon research tools I have tried out, and I highly recommend it to anyone who wants to create an online e-commerce business. It helps you smash the competition, competition that are researching products by trial and error so it saves you a lot of time. Take the product criteria I mentioned in this article and use Jungle Scout data to find the products that have the most potential, make a list, and then start ordering! Soon you’ll see the sales come in and you’ll have cash to re-invest into the business. So, creating a 6 figure online e-commerce business as an Amazon affiliate is actually not that difficult, it’s all a matter of finding the right products and with Jungle Scout it just got easier. Go ahead and check it out here, I know you won’t regret it. Estimates are that by the year 2017 online retail sales will to grow to $434.20 Billion Dollars. So it’s the perfect time for you to jump into this space, and start your own e-commerce store. Anyone can start an e-commerce store, and it can be run by one person in the comfort of their home. Especially if you know how to source products correctly and now you do, with Jungle Scout, and you don’t even have to pay for inventory until a sale is made. Best of all e-commerce retail websites can be built on the most popular content management platform available which is WordPress. The only problem is that it takes specialized knowledge to be able to this platform to get your online shop set up. If you are interested in e-commerce and are considering creating your own online business from scratch, but you don’t know where to start, then I have got you covered there too. For less than $10.00 I can give you my WP Online Store Training Course. If you have enjoyed this post “Jungle Scout” please feel free to share socially or ask a question below. 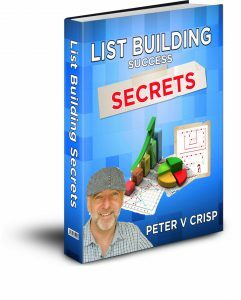 If you leave a comment, I will reward you with a free PDF copy of my book; ‘List Building Success Secrets’ – Learn how to create a list properly and how to profit from it. “If you are just getting started, you will want to build a list. This and this is where most people get stuck, right at the beginning… Without a strong list, you won’t have a stable source of online income”. This is a really informative post and something that I didn’t even realise existed! It’s something that I will definitely be looking into further. Keep the posts coming and I will be sure to visit again to see what else is up. Your posts seem to really modern and in the now. This is such a great read. I had some knowledge about the content prior to the jungle scout section, but had no idea that there is software that specialize in all that stuff. Are you a partner or one of the owners? This is some great stuff and I would definitely be interested and learning more about the application. Is it web based? Hello, Arif. Thank you for your questions. Is the it web based? yes because its using live stats from Amazon to provide the data that it analyses. Am I the product owner or a partner of the product owner, I wish, but no. The best thing about Jungle Scout is with a click of a mouse, you can see any product’s estimated monthly sales volume, its Best Seller Rank, its sales revenue and all the other criteria that are critical in identifying profitable opportunities for every Amazon product that you are considering selling. Great website! Very consistent, up to date and informative information. I loved your amazon affiliate guide. Very well written. Itâ€™s good to see that youâ€™re promoting a company capable of providing a stable long-term income, but most importantly one you can try out for free, with no strings attached. With all the scams out there, Wealthy Affiliate is definitely a step in the right direction. Fantastic site. I just started and am new to affiliate marketing; however, your site has provided me with such valuable information that is current. 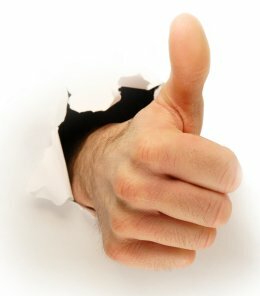 I have noticed that on a lot of other sites that the information is oudated but I can see that you keep up with current times which is a big relief. The content is of quality content and the advice is fantastic and I can’t wait learn a lot more from you! Your posts of late really have been hitting a home run with me as of late. This great tool does seem like a god send for anyone currently or interested in selling on amazon (the latter is my case). Now, I have heard that selling on Amazon can be a minefield as with using FBA do you have training or recommended training resource that covers teaches how to do it? It would certainly save me a lot of errors and accelerate the learning curve Vs doing it alone. Also, software, if any that could source products, would be an absolute time saver. Gotta be something out there ! Finally, can I go it alone and sell directly on Amazon without my own niche related website or do you recommend that I do it via a niche website in conjunction with my amazon site (i.e reviewing and selling my own products)? I am in the early stages of building a website and online business, and I am considering signing up with amazon associates in to promote relevant products to my niche. I must admit this is the first time I’ve come across this type of software it looks very interesting and your review is certainly very in depth. Are there other softwares out there like this? This is a highly informative article Peter. I had no clue software like this existed. I am still on the hit or miss plan right now. This would definitely save a lot of wasted energy. Is jungle scout affiliated with amazon? Guess I am still a little confused on that. Thanks in advance. Affiliate marketing is a viable way to make money working online. Amazon has millions of products that you can market with your website. You don’t have to pay for the products, warehouse them, all you do is advertise the products and people who visit your site, click on your links and a sale is made between the customer and Amazon. All you do is collect the commission. Just another viable option! Great article on Amazon, you have touched on every question I may have had and given very informative information. I had no idea about Jungle-Scout, but with the free trial I can’t see why I wouldn’t try it. Thanks for the information, like your website and will be coming back in the future. Very informative article. I’ve been wondering about Amazon for some time now. After reading this, I think I’m going to give it a try. I didn’t know about Jungle Scout. I’m going to get it. Should make product research a lot easier. Thanks for getting me on the right track! I really like your website, its calming, and very colorful. You have a very good mix of content and images that are explaining your product review. The video just adds to the complementary. I am going to check this product out and if its up to snuff as in the review, I will purchase this item. Hello, Chris. Yes please check out Jungle Scout especially if you are promoting Amazon products as this saves sellers an incredible amount of time so that they can focus on ordering products and managing sales instead of spending a lot of time on product research. 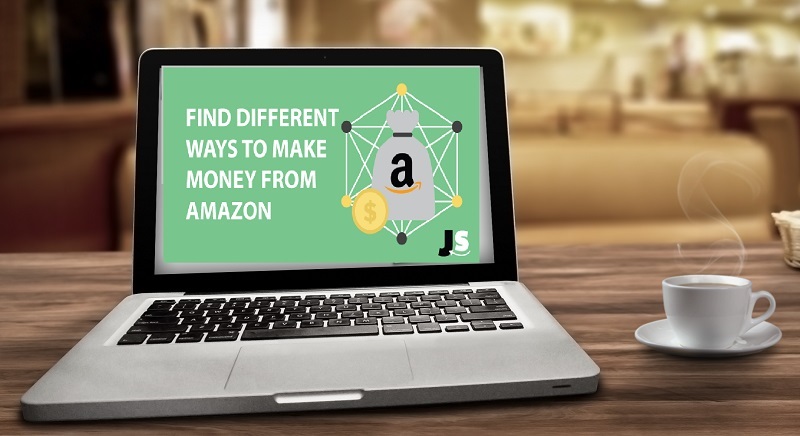 It allows you to find profitable ways to make money from Amazon so you can promote with confidence and success without the need for any guesswork. Nice clean looking website. A lot of headings and space between the sections to keep from getting overloaded. The Jungle Scout seems like a real help for dealing with products on Amazon. With a little experience using it it could be a really valuable tool. The statistics it generates would be invaluable for product selection which is always a problem dealing with the size of Amazon.It looks like once you learn how to deal with selection and then shipping costs you can make a lot of money. Thanks for the review on jungle scout, i have never heard of it and as I am currently looking into promoting Amazon products on my site i feel this will help me a lot in finding the right products to promote. 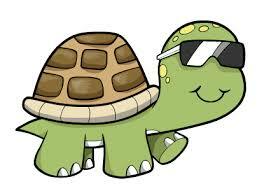 I have found a lot of useful information on your site that will help me build my business. Would you suggest going after high or low ticket items first? I never really thought about the importance of researching a product before posting it on your page. YOu have opened my eyes to how you should know how well your product sells. I think it is pretty cool that Jungle-Scout simplifies the whole researching process. To be honest I never really knew how one could do that. I like simplicity and this seems like an awesome product. Thanks for your review! Hello, Kachina Yes, This saves an incredible amount of time so that now you can focus on ordering products and managing sales instead of spending loads of time on product research. 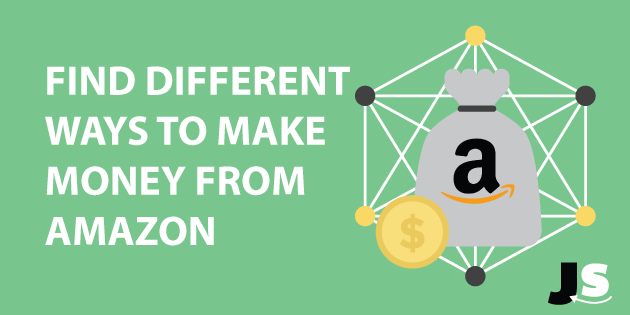 This allows you to find profitable ways to make money from Amazon so you can promote those products with confidence without the need for any more guess work. I really like the idea behind Jungle Scout for promoting products on my website that are already selling really well on Amazon. One thing that I’m not certain on is the commission that I would be making from a sale of one of these products. Is it that same commission that I would make through using Amazon’s affiliate program or would I actually make the difference of the cost of the product from the sale price? This is an amazing website, well structured. I found so many valuable information that i will be using to launch my amazon product. I have a question, in terms of taxes and import fees. What is your understanding on the subject and the best way to deal with this? Is there a good strategy to maximize the effectivity of imports? Nice insight, Peter. I am looking to get started in Affiliate Marketing and your articles really helped me out. I was pretty confused before but now I know exactly what I need to do to get the ball rolling. Can’t wait to be living out of the country making money head over heels!